Authorities are dismantling a wave power unit in waters off Victoria. The Port Fairy Wave Energy Project was a research and development pilot launched in 2011 that included a bioWAVE device - a 26-metre-high steel structure designed to sway back and forth under the ocean swell to generate electricity. 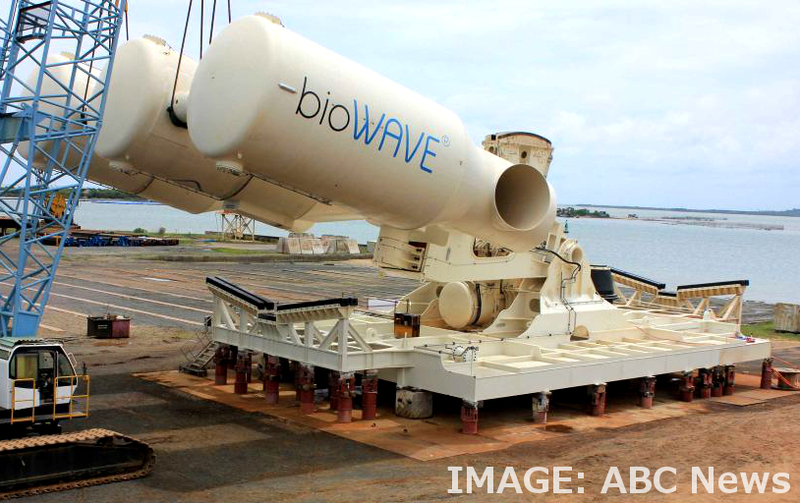 The bioWAVE was deployed off Port Fairy in December 2015. Ongoing technical problems, which indicated uncertainties surrounding projection viability, resulted in the project testing phase being terminated in June 2017. The decision to decommission the bioWAVE device came in December 2017, and it has now been announced that decommissioning work will start in late March 2019. The complex removal process will involve lifting the device from the seabed and towing it to the Port of Portland for dismantling and recycling. A subsea cable connecting it to the land will also be partly removed (up to the high tide mark) in the decommissioning. Victoria’s Department of Environment, Land, Water and Planning (DELWP) is in charge of the decommissioning, and says it will ensure that the area is fully rehabilitated with minimal impact to marine life or the sea-bed and reef system during the process.